CRANSTON (March 14, 2019) —A new study in Rhode Island is taking a novel approach to dealing with the opioid crisis that could eventually be replicated across the country. 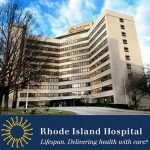 Through a $1.6 million grant awarded to Rhode Island Hospital from the National Institutes of Health, pharmacies will take a bigger role in offering addiction treatment services with the support of a conglomerate of healthcare entities, including CODAC Behavioral Healthcare. The three-year study aims to improve accessibility to medication assisted treatment (MAT), which typically requires patients to meet with an approved physician before being placed on an evidence-based treatment plan. Through this trial, Rhode Island is the only state in the country that allows pharmacists to manage patients with buprenorphine and Vivitrol. Scalability is another important element of this study, according to Hurley. “Ultimately, we would want states from the Midwest to use the study’s findings to expand access to MAT services in areas where long distances can be a barrier to care,” Hurley said. In prepared remarks, Dr. Traci Green, an adjunct associate professor of emergency medicine at Brown University and the study’s principle investigator, noted the importance of MAT in the recovery of patients. “Treatment with medications is a critical tool in the opioid crisis, but can only work if it is available and accessible in the community,” Dr. Green said. Roughly 250 patients will be enrolled in the program with 125 of those patients being placed under the care of a pharmacist who have undergone extensive training in addiction care. CODAC will issue patients their initial prescription, and some of them may become eligible for continued care by a pharmacist if they are considered “stable” by their doctor. Six pharmacies, managed by Genoa Healthcare, will be participating in the study. 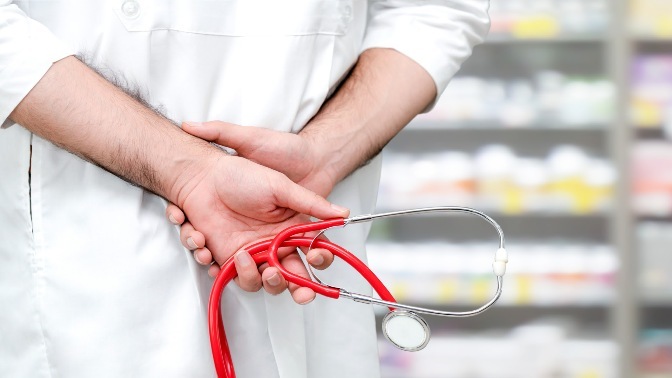 Pharmacists will keep doctors from CODAC updated on the progress of patients, and will encourage patients to seek additional counseling services if necessary. More importantly, pharmacists would be allowed to use their objective observations to reduce a patient’s dosage amounts and frequency of visits. As patients gain more confidence with their pharmacist, they can begin to have discussions with them about their recovery goals, struggles, and recent successes. 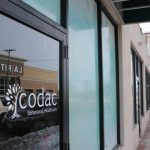 Patients that begin to fall back on their treatment plan would be referred to CODAC Behavioral Healthcare, which has nine locations throughout the state. CODAC’s involvement in this study is just one of the many programs that it has supported amidst the ongoing opioid epidemic. 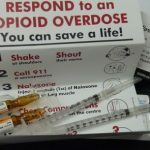 The non-profit organization was praised for its involvement in the Rhode Island Department of Corrections MAT Program, which was attributed with reducing the overdose death rate in the state by 61 percent. Moreover, CODAC partnered with Brown University to expand that program to reach more individuals that, Hurley says, may have fallen through the cracks. Additionally, CODAC has also worked with the Family Service of Rhode Island to help children impacted by the opioid crisis. Other collaborators in this multi-year study includes the University of Rhode Island College of Pharmacy, the Rhode Island Department of Health, and the Rhode Island Department of Behavioral Healthcare, Developmental Disabilities and Hospitals. Este lunes explotó una camioneta durante una operación de desactivación de una bomba, aunque no hubo heridos. PROVIDENCE, RI - Governor Gina M. Raimondo announced today that Ørsted US Offshore Wind and Eversource – the team behind the Revolution Wind project – have pledged $4.5 million to support offshore wind education and supply chain development for the growing offshore wind industry in Rhode Island. Ørsted and Eversource have committed to invest $4.5 million locally, with a $3 million investment in higher education around offshore wind programs led by the University of Rhode Island, a national leader in ocean engineering, environmental science and other marine-related fields. URI will be working in partnership with other institutions of higher learning in the state. Ørsted and Eversource will invest an additional $1.5 million, designated to the Rhode Island Commerce Corporation and the Rhode Island Department of Labor and Training, to support the development of Rhode Island’s offshore wind supply chain and workforce. These investments will position Rhode Island to remain a leader in the growing American offshore wind industry. In February, National Grid filed its proposed power-purchase contract with Ørsted and Eversource for the 400-megawatt (MW) Revolution Wind offshore wind farm with the Rhode Island Public Utilities Commission for review. Ørsted and Eversource’s investments are subject to the PUC’s decision on the project, which is expected by June 1, and final permitting of the project by state and federal agencies. If approved, Revolution Wind will generate approximately one-quarter of all the electricity used by Rhode Islanders annually and will help increase the state's clean energy portfolio ten-fold by the end of 2020. Once permits are in-hand, local construction work on Revolution Wind could begin as early as next year, with the project potentially in operation by 2023. The Revolution Wind project will be located in federal waters approximately 15 miles southeast of the New England coast. The project – originally developed by Providence-based Deepwater Wind, which has since been acquired by global offshore wind leader Ørsted – is expected to create more than 800 direct construction jobs and 50 permanent jobs for Rhode Islanders at every skill level. Hundreds more jobs will be supported indirectly as the region's burgeoning offshore wind industry takes off. In March 2017, Governor Raimondo set an ambitious goal to accelerate Rhode Island's adoption of green energy and make the state's energy system ten-times cleaner by 2020. Revolution Wind was selected through an open and competitive market procurement that attracted both domestic and international project developers. If approved by the PUC, this offshore wind project will more than double Rhode Island's existing clean energy portfolio.